Vinod Prasanna is a Master of Indian Classical Music and has studied music from the age of 7 in Varanasi/India. Music has been in Vinod’s family for over 250 years. This sound healing will assist in alleviating stress and connect you with your heart. The evening will start with deep meditation (if you wish you can lie down). 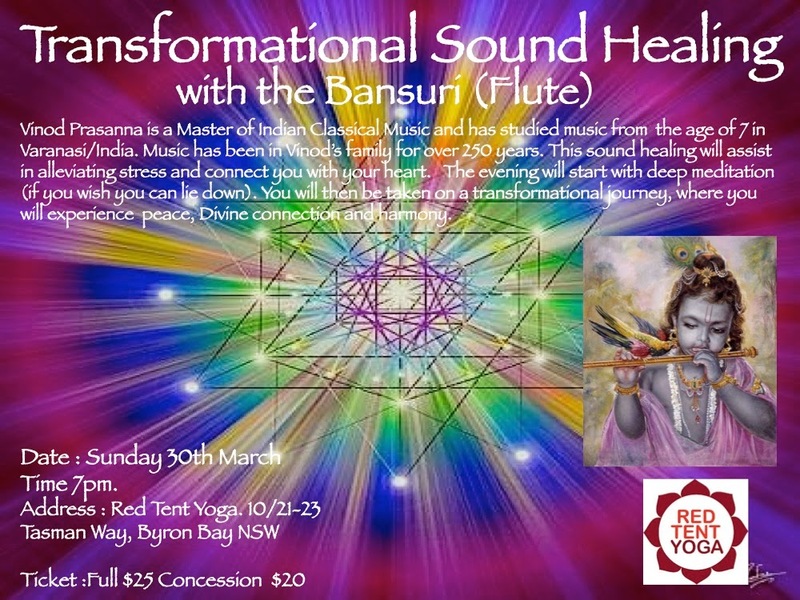 You will then be taken on a transformational journey, where you will experience peace, Divine connection and harmony.